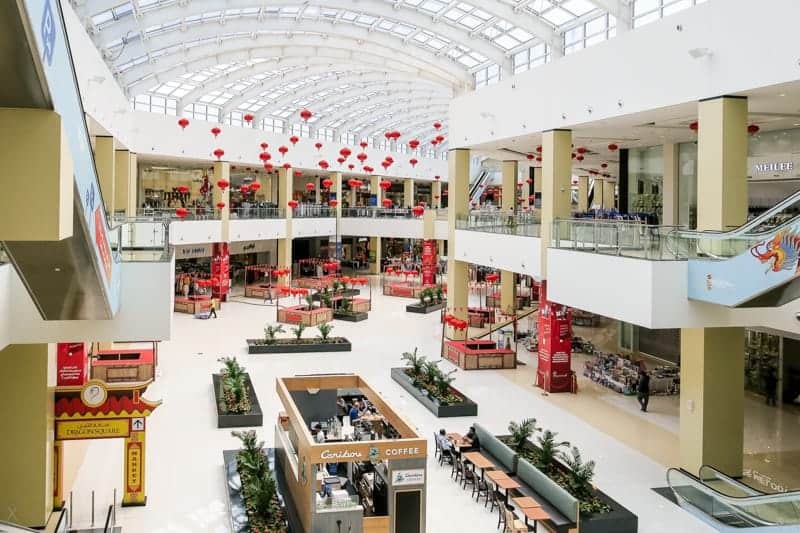 Part of Nakheel’s International City development, the Dragon Mart reputedly houses the largest number of Chinese traders outside China. The 1 km dragon-shaped shopping centre offers almost 4,000 stores selling a huge array of Chinese products (and that includes just about everything these days). The store is open to both retail and wholesale customers and offers parking for several thousand cars. Map showing location of Dragon Mart. I agree with Nafees this is real, their attitude is not warm welcoming. Please I am a visitor in Dubai. How do i get to Dragon Mart by Metro or RTA bus. 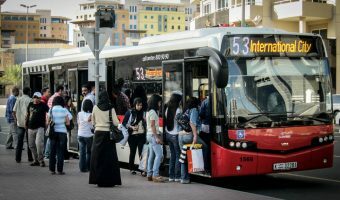 Is there is a free shuttle bus to Bur Dubai, Al Fahidi Metro in particular? No free shuttle to Dragon mart. Go to Burjuman metro and from there you will find many buses to Dragon mart. Can I get a three wheeler mobility electric scooter for elderly person? I have visited Dragon Mart and I am looking for the Chinese shop that sells footwear for children. I need to have the contact number please to talk to shop. I am looking for something that I brought from them earlier this year. Please advise. After purchasing my goods I had to drive to the warehouse to collect them myself. When I found it I had to wait nearly 2 hours for it to open. The goods I purchased broke after 1 week. When I returned to complain and get replacements I had to really fight for my rights.I would not recommend anyone to shop there. Shop keepers are ignorant, rude and only want to play with electronic toys in the aisles you are trying to walk down. Why is there no e-commerce at Dragon Mart? Do you mean why can’t you buy products online from the DragonMart website? If so, the answer is that it’s not a single store. It’s a centre with a few thousand small stores selling all kinds of different things and stock lines that change frequently. It would be impossible for them to organise this centrally. Some traders may have e-commerce websites or be involved in online trading individually, but there is no central website where you can buy products. I’m looking for Turkish mosaic lamps I’ve seen in the Dubai Mall. Will I find them at Dragon Mart? I don’t know for sure but I’d say there was a pretty good chance. Try the underground souq at Wafi City. Can you get the Metro to Dragonmart? If so, which station? The Dragonmart is in International City. There is no Metro station here unfortunately. You will need to take a taxi or get a bus. If you want to catch a bus you could get the 367 from Etisalat Metro Station or 53 from the Gold Souk Bus Station. Can take a bus direct from Fujairah to Dragon Mart? I don’t believe there is a direct bus between Fujairah and DragonMart. The best you can do I think is get the E700 bus from Fujairah to Dubai and get off at Dubai International Airport Terminal 1. From here you can get the number 24 bus to International City. It is the Chinese way not to follow customers around. It shows respect and trust and belief that customers can make up their own mind. This is customary in China where I rarely saw anyone by my side in a retail store. In the UAE, sales staff almost hang by your elbow. It is flattering to believe this is service, but in reality it is only to keep an eye on the customer in case they steal. This is borne out by the fact that very few of these staff are able to answer a question about an item not seen on the shelves. Good point about the Chinese culture. I’ve not been to China so can’t comment whether it is true or not. I’ve no reason to doubt you though. I’m not sure you are right about why UAE sales staff follow you around. I never get the feeling that they are trying to see whether I am about to steal something though. I think it is more a case of not knowing what else to do. I agree to a certain extent about their lack of knowledge. It’s fairly commonplace all over the world though. The rates of pay for sales staff tends not to attract geniuses. Visited Dragonmart. Very pathetic attitude of most of the sales staff. Doesn’t cared about the customers. Also treat the customers as some unwanted guests. Need training to this people regarding sales and customer service. So true. The same happened to me when I visited one shop. Pathetic. You mean they refused to be at your beck and call? probably that is the case.. I visited the Dragon Mart. The shop keepers were sitting on their chairs and surfing the internet. They didn’t show any interest in the customers. Neither were they polite towards customers. We were like unwanted guests. These days, mall retailers want customers and I feel some kind of motivation is required for these shopkeepers. Freehold residential area offering properties at low prices. Our guide includes details of shops, places to stay, how to get there, and an interactive map. 12-screen cinema at Dragon Mart. See movie times and listings. 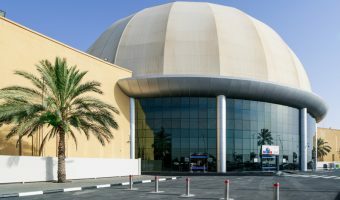 Mall in Dubailand offering large discounts on major labels.